220. chrome blue | LEFTBANKED. 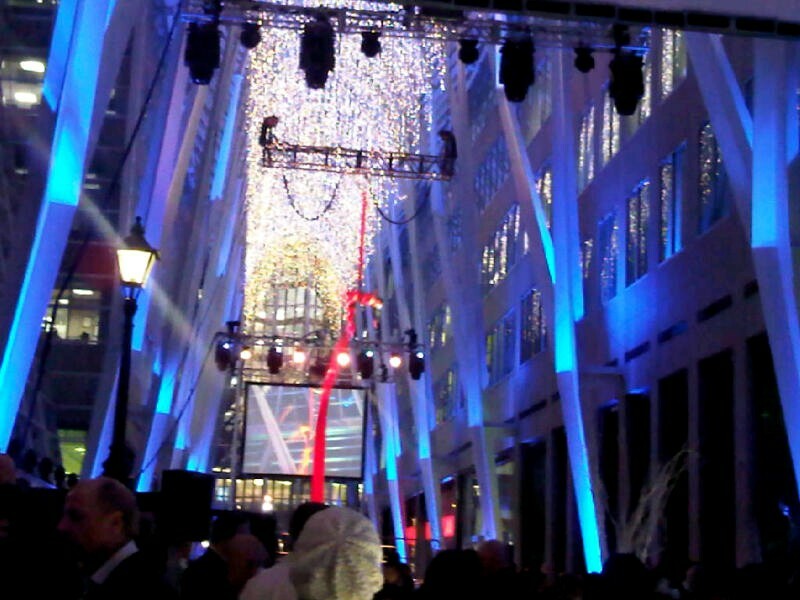 This was Brookfield Place last week - they had their annual Christmas lighting event. Most of you know I LOVE this building. I come here multiple times a day. It's right beside where I live and directly connected to my building underground so some nights I just like to take a walk there (they always play nice music too) &/or to go to Marche. Anyway this event is one of my favourites of the year. 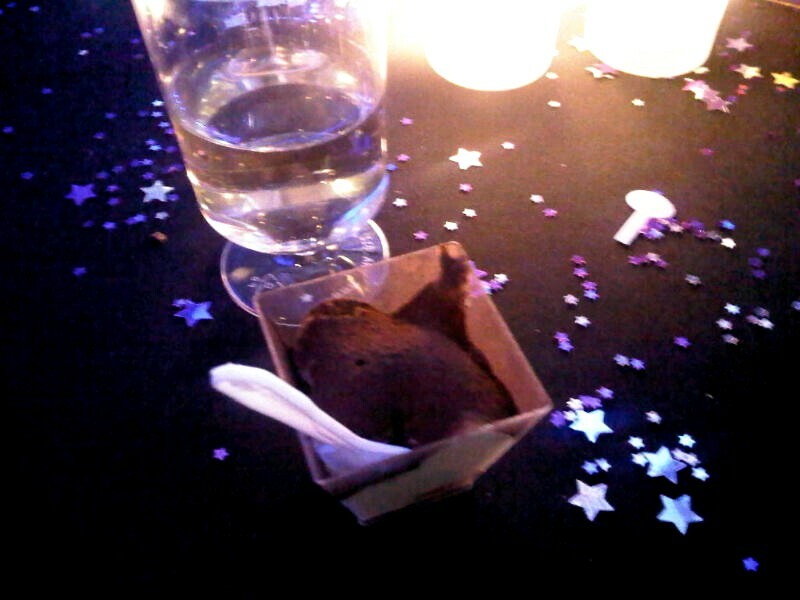 They had circus acrobats, silent auctions, lots and lots of free food & drinks..
My white wine and tiramisu from Obika - it was amazing! Christmas is also a time for lots of sequins! Actually I wear quite a bit of it already..
Yorkville a couple days ago. 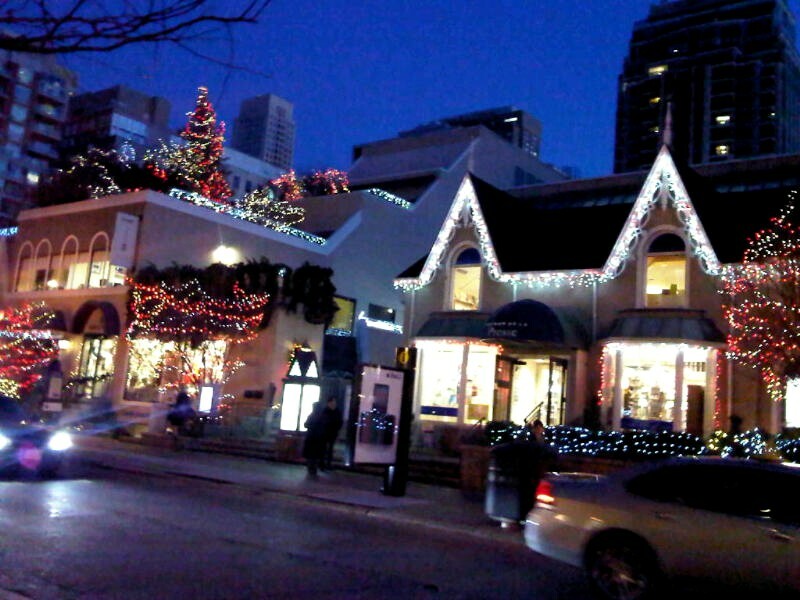 I always love going there in the winters especially..lots of nice Christmas decorations everywhere. That day I mainly went there to buy new toys for my dog & to meet my sister for crepes. I got Hennessy these gingerbread toys.. The next day.....sighh. He manages to destroy 90% of all the toys I buy him!! The "Cristal & Dom Perignon" ones are the only ones left intact so far hahah. Figures. Even as dog toys they are still the best quality! 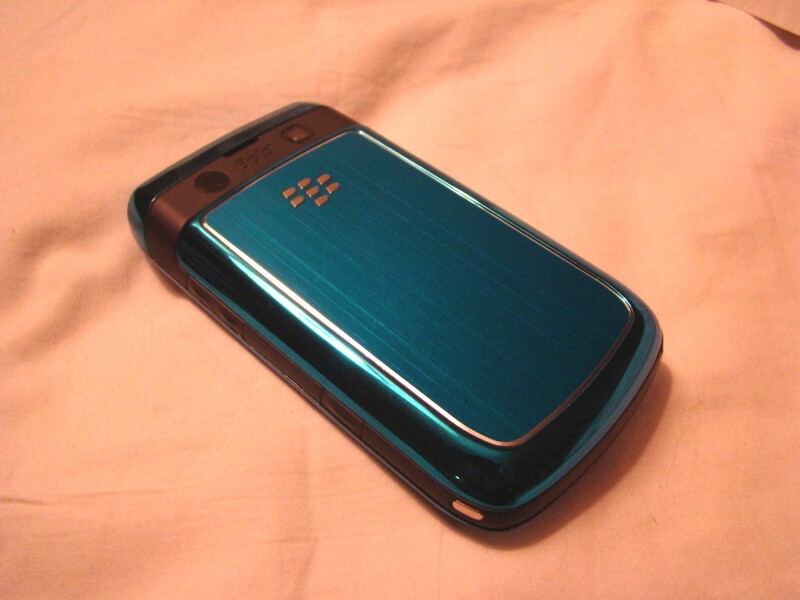 My new chrome blue Blackberry!!! I had it gold for a few weeks and today the chrome blue just arrived so I changed it. I really like it. The colour's a bit different in this picture - it's actually brighter in real life. Thanks for your sweet response - much appreciated. I'm enjoying life in Toronto so far and following your blog I'm sure will be a great source of information! Your dog looks so much like my friends dog I just even linked her to that picture. Really cute though. 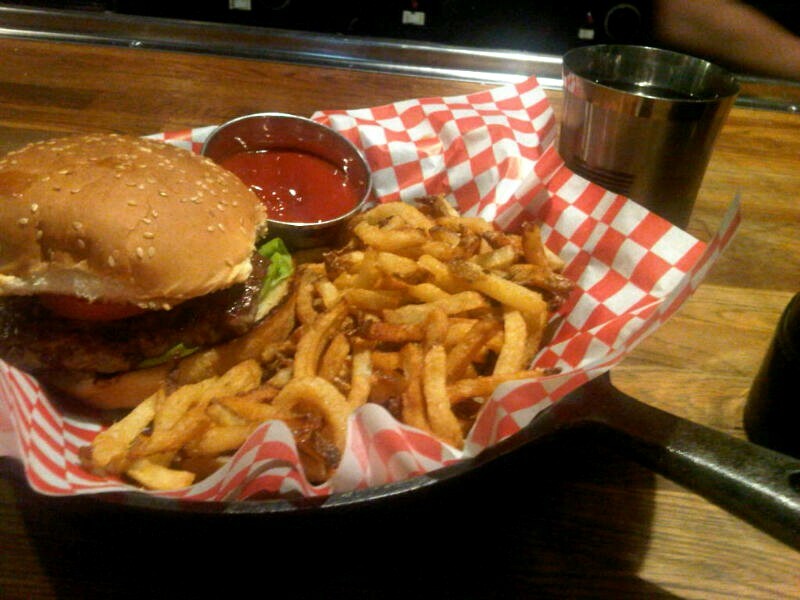 And stockyards looks so yummy - that's definitely on the to do list!! that building is absolutely gorgeous! those little gingerbread toys are too cute! Amazing pics ! Your phone is gorgeous ! Come to visit my blog ! Hope you'll like ! i Love the banner of your blog - so catchy! and that lighting celebration looks so neat! Take me with you next time?! 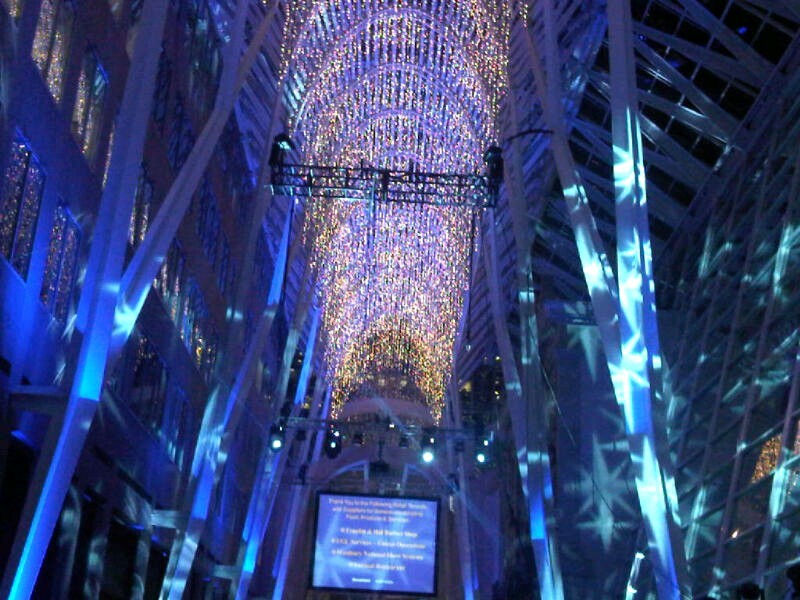 Brookfield Place lights are amazing! I love your photo stories as well in your blog especially this recent one. 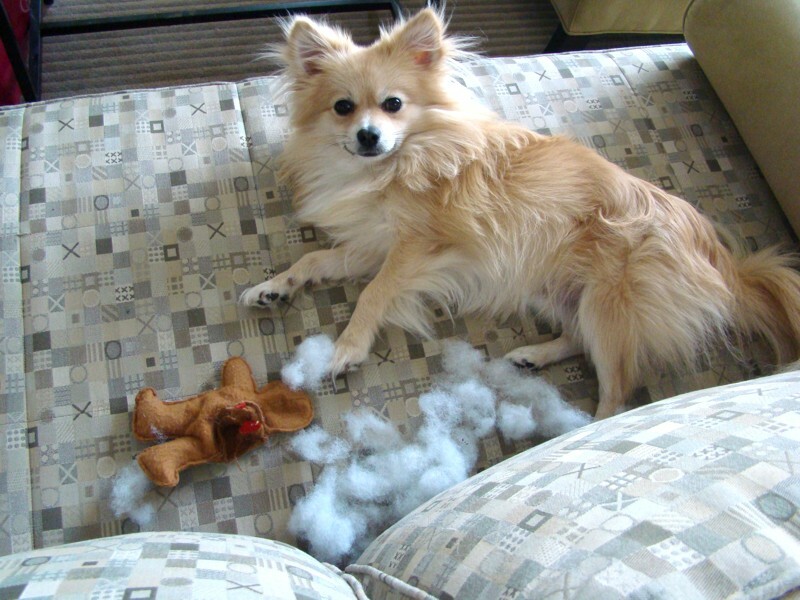 I had to laugh when I saw the one of the destroyed dog toy, especially when he looked so pleased with himself. That is exactly what my dog does over and over again......yet I still can't resist buying him them!! I just love this time of the year when everything is full of lights and sparkles! Can't wait for the winter holidays! Beautiful pictures! I like your blog! I hope we can follow each other! those first photos are so beautiful and festive! Awesome pictures but I am obsessed with Nicholas Hoult for Tom Ford background on the blackberry..
Oh thank you so much you're so sweet. I love these photos they're really magical, and your dog is adorable, mine eats everything I give him too... but it's like he knows it's from his mummy so he carries around rags haha. Will definitely keep updated with your blog! 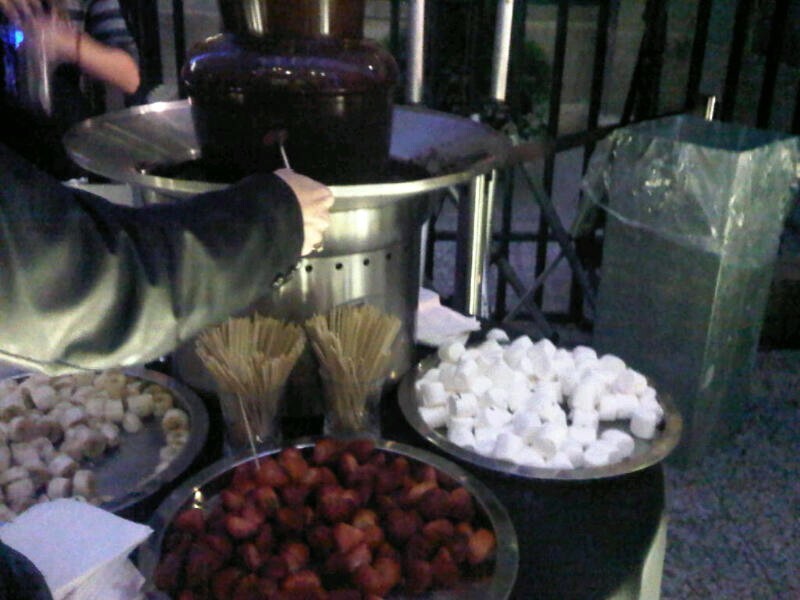 very nice photos, Your blog is very very nice! Lovely! and I love your jacket! thanks for stopping by my blog and giving a sweet comment ;] Great pictures yourself, I love looking at other bloggers' lives, it's so interesting! 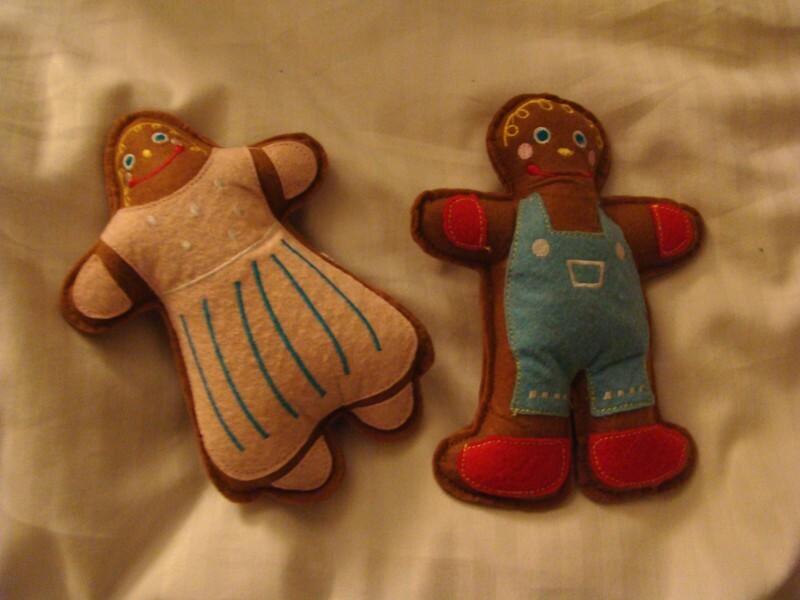 Those cute gingerbread dolls are awesome! thanks for your follow and for your swwet comment!! I want follow you too!! very nice your post and beautiful photo! Your blog is very interesting, i like a lot your photos. I follow you. Follow me back?? Awww looks like so much fun! great pics!!! the places are so wonderful... love the little pup, cutie!!! enjoyed your blog, following you now, hope you could visit my blog too..kissess!!! Wow that place looks beautiful!! The holidays are always so magical! Where you live is so beautiful! 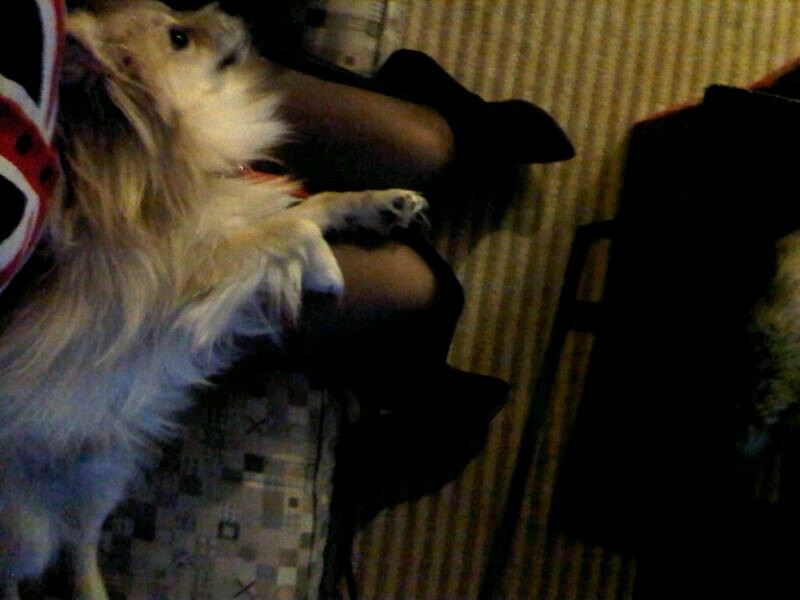 And your doggy is adorable :) great photography, too. all amazing pics! it really looks like christams over there :)! Your dog is so cute!!!! Great blog as-well! Love the post and pics are cool! Would you like to follow each-other? Follow me if you like, let me know by comment and I'll follow you right away! I really love these pictures! 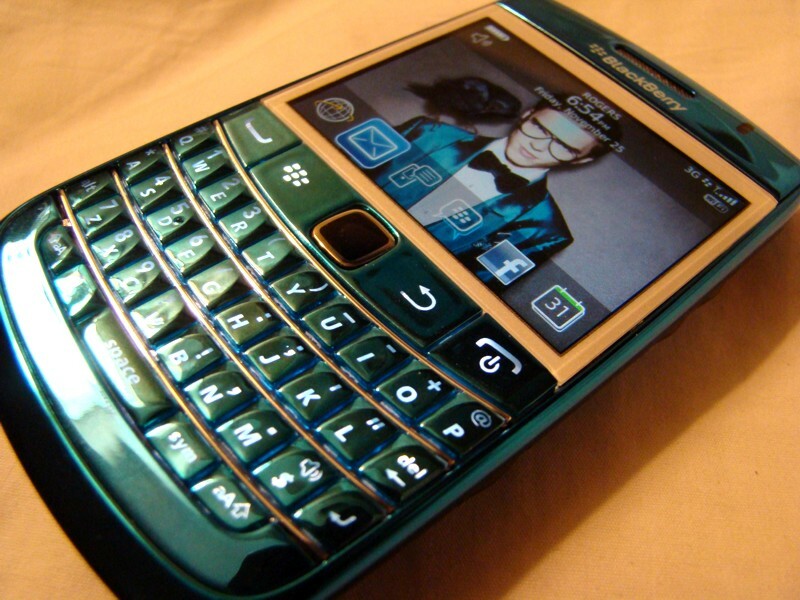 How cool is your blackberry?? And that coat too! These pictures are gorgeous. I love Christmastime! Nice to meet ya girl. ; ) Love seeing other Toronto bloggers. Thanks for the comment! WoW! Amazing photos! I love your blog, I follow you. Do you want to follow me back? Thanks. You can come and visit my cooking blog 2, and support me there 2 if you want. I can't follow you twice though because I have both blogs with same add! Hope yo hear from you! Thank you for the sweet comment! The perfect post to put a reader in the Christmas spirit fo' sho'. such a cute dog and the food.... so yummy! aww your puppy is the cutest thing!! These photos are so pretty!! I really loved that first one, it made me go ooooooh!! Your dog is so cute!! Such an innocent "but what did i do...?" look haha! Tiffany - this is one of my fave places in Toronto and I am sorry I missed the acrobats but I did see them doing the setup in the long hall. Thanks for dropping by my blog as well.